This gem embodies breathtaking features that any would love to call their own. Situated on 15, 400 sq. ft. lot. Featuring 5 bedrooms, 3 full baths, 1 half and a 2 car attached garage. It's modern design encompasses a beautiful open floor plan, a cozy corner fireplace, and high ceilings! Chef's kitchen is equipped with tile flooring/backsplash, central island, granite countertops and wooden cabinetry. Gorgeous floor to ceiling windows that shower the main room with natural lighting! The second level of this home offers all secondary bedrooms and game room! The master suite will leave you in awe! Walk-in closet, double sink, garden tub and walk-in shower! What more could you ask for? Once you're outdoors, you will never lack green space! Large yard with covered patio great for entertaining family and guest! 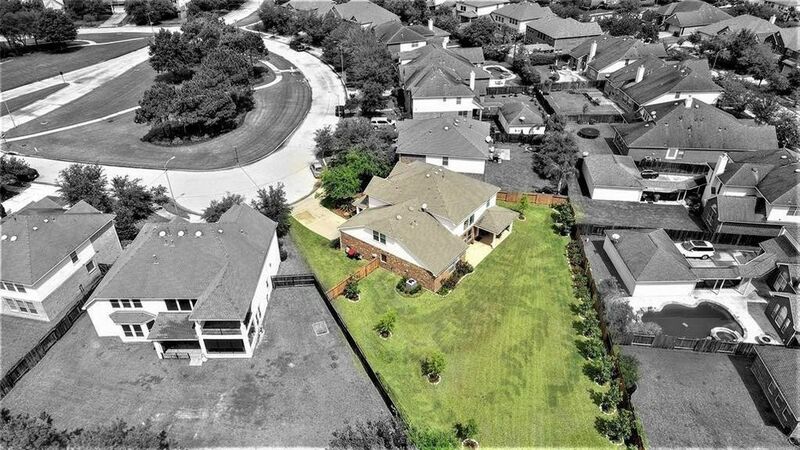 This home has been impeccably maintained! This home represents an incredible opportunity to settle somewhere entirely without drawbacks! Directions: Grand Parkway (99), Ri on Fry Rd R on Crestford Park Ln., R on Red Rooster Ln., L on Baron Ridge Ln., house on right.